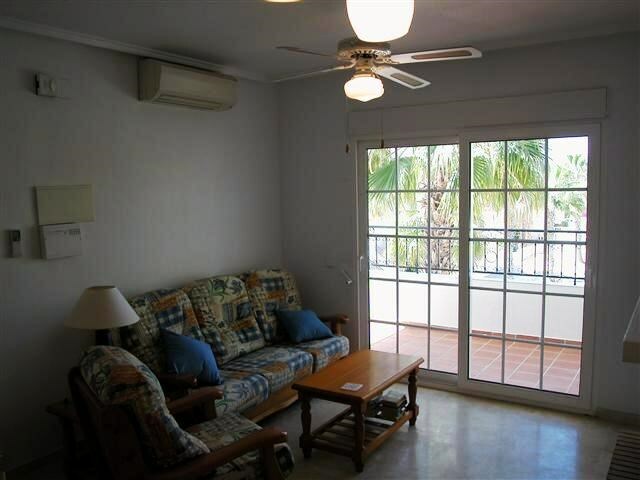 Top Floor bungalow with solarium, sea views and in a top location! 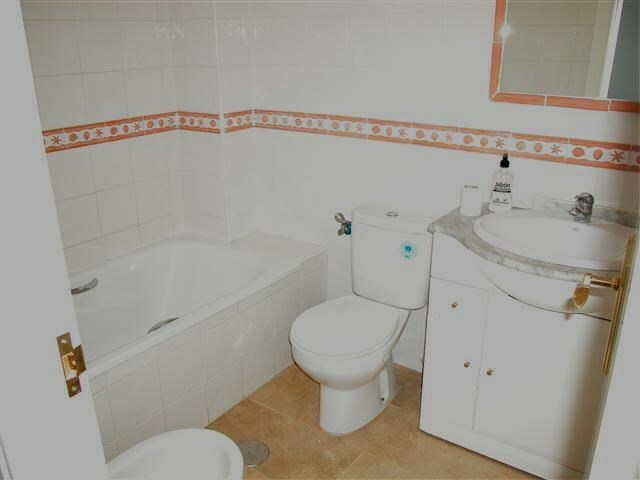 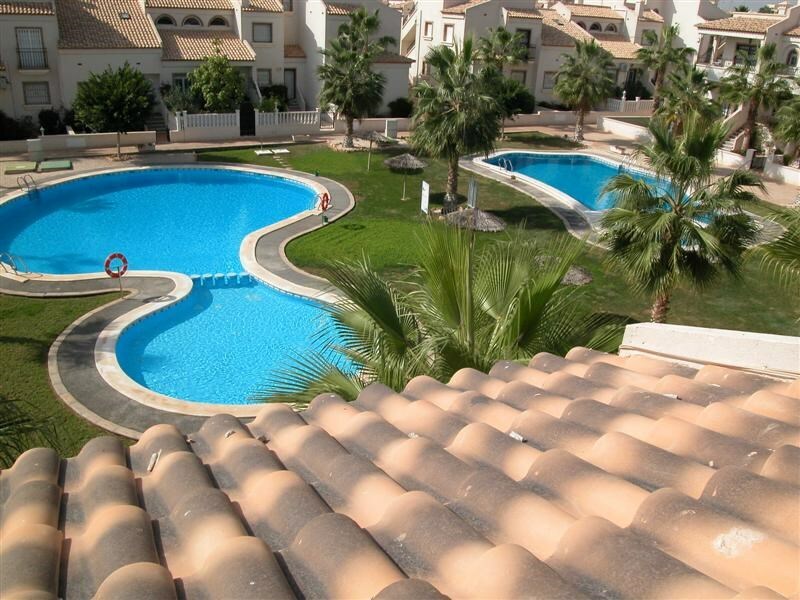 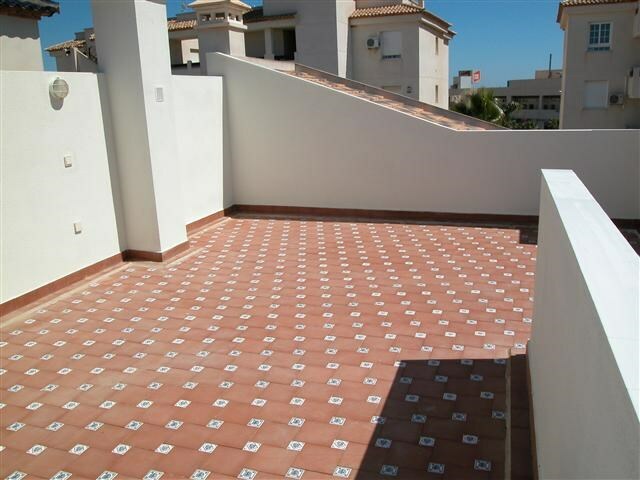 The property is located in a private complex, in Orihuela Costa, just in front of a large Commercial area with supermarkets, bars, restaurants and other facilities. 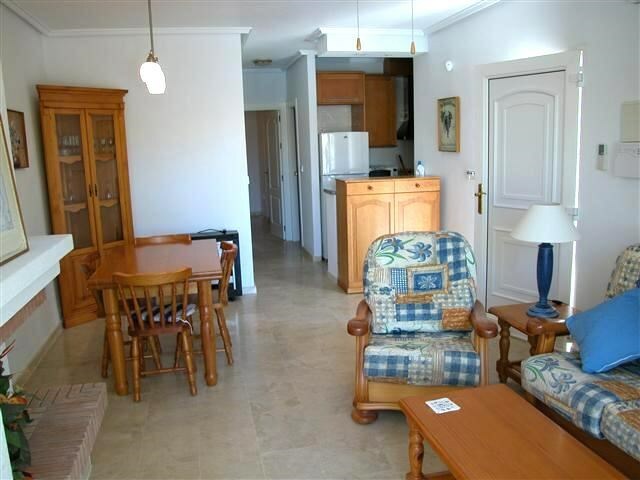 And it is just 400 meters away from the sea. 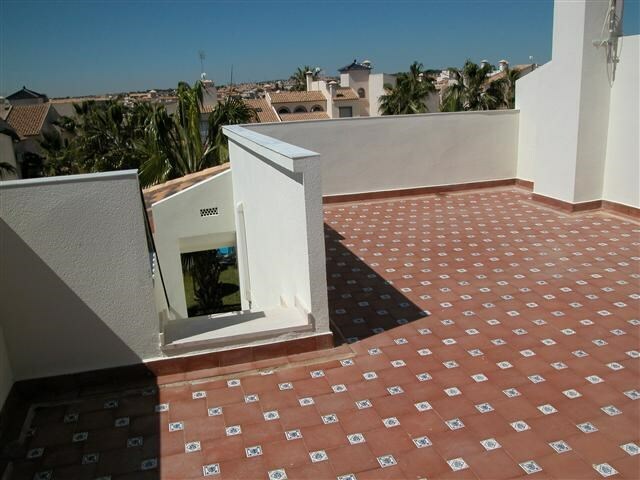 This property comprises 2 bedroom, 1 bathroom, American style kitchen, a terrace overlooking the communal pool and garden area, and a large private roof top solarium with sea views. 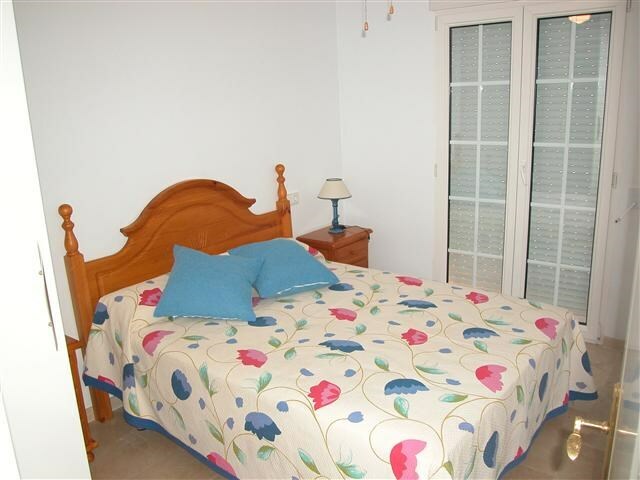 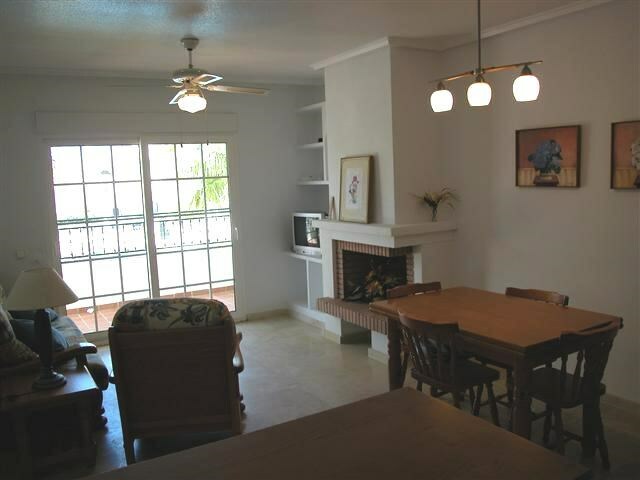 The property benefits from a/c, Satellite TV and alarm system and it is sold fully furnished.